As lead chemist in your very own out-of-this-world laboratory, it’s your job to identify UFOs — Unidentified Funky Oozes! 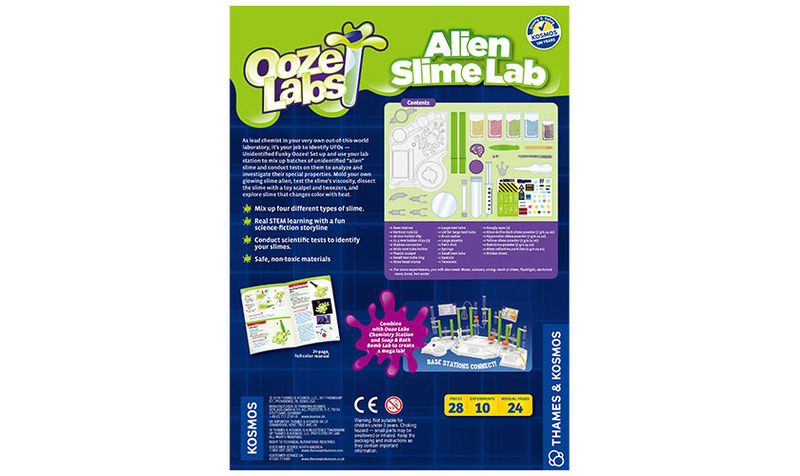 Set up and use your lab station — separately or as an extension of the Ooze Labs Chemistry Station (a Parents’ Choice Silver Honor winner!) — to mix up batches of unidentified “alien” slime and conduct tests on them to analyze and investigate their special properties. 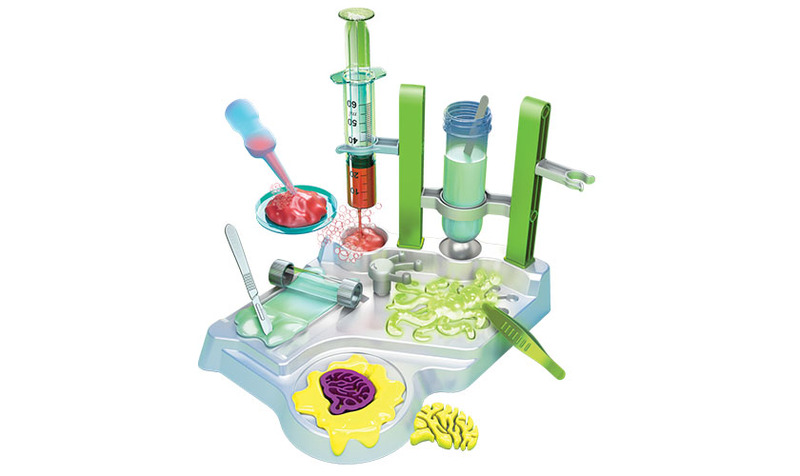 The kit comes with all the tools needed to set forth on your alien slime research mission. Use the syringe to conduct viscosity tests, roll the slime with a roller, and dissect it with tweezers and a plastic scalpel. Cut a brain shape out of the slime, stamp it with an alien head, and add eyes to it! Explore your slimes’ make-up and properties — like their different colors, glittery components, and glowing and color-changing effects — and then use your findings to correctly identify the different slimes. 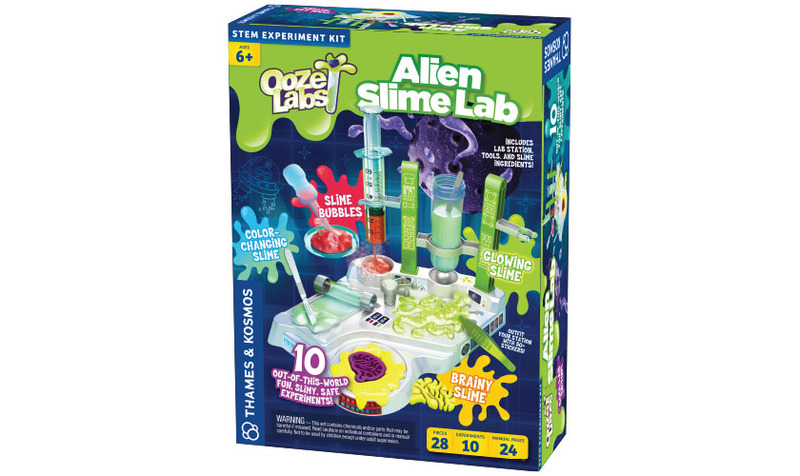 Real science and playful science fiction come together in this wacky, activity-filled kit!